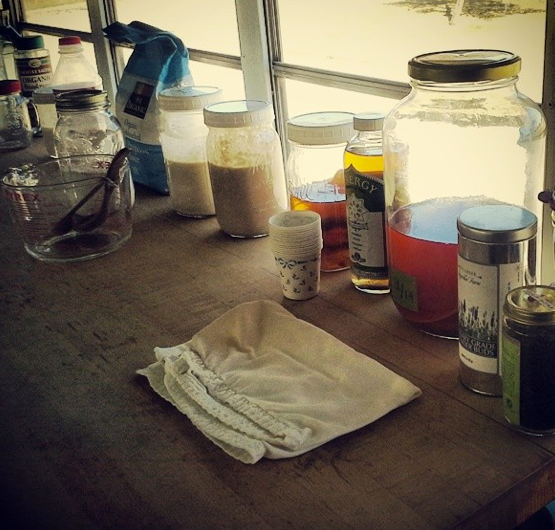 Last August, 28-year-old Tara Whitsitt took a vintage school bus and filled it with fermented foods, live cultures, and a “fermentation station” before setting out on a yearlong project to travel the United States. In just six months, Fermentation on Wheels has already made 27 stops in six different states. The idea for Fermentation on Wheels came to Whitsitt in a dream. Literally. 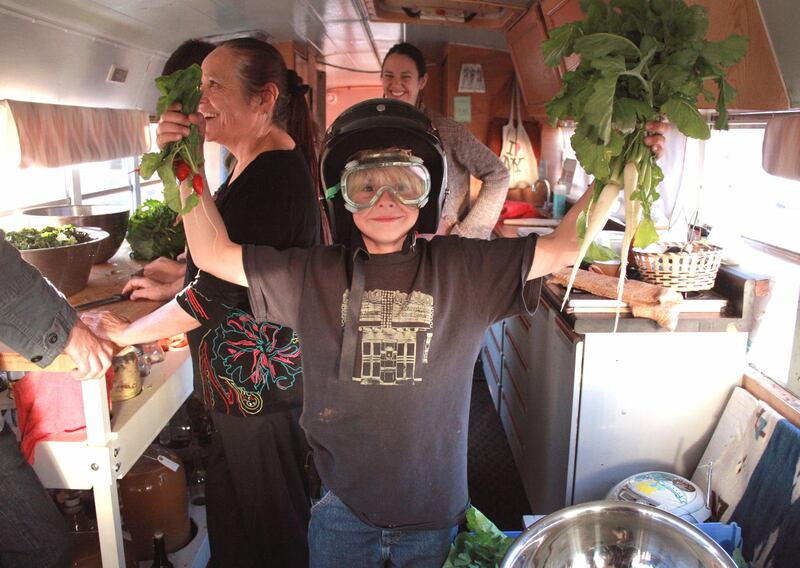 She had been experimenting with what she calls “micro-agriculture” on a largely self-taught basis when she dreamed—three nights in a row—that she was driving around in a school bus, making foods like saeurkraut, kimchee, and kombucha. While most of us might have wondered if we were spending too much time on our new hobby, Whitsitt was inspired to turn her dream into a real educational project. The goal of Fermentation on Wheels is to give the benefits of live cultured food to anyone interested in learning how to do it themselves. And a school bus helps Whitsitt reach a wide array of people. Many small organizations have adopted a mobile model for teaching people about healthy food, urban farming, and even cooking. It’s cheaper than renting a brick and mortar classroom and easier to bring to the communities that wouldn’t otherwise have access to such education. 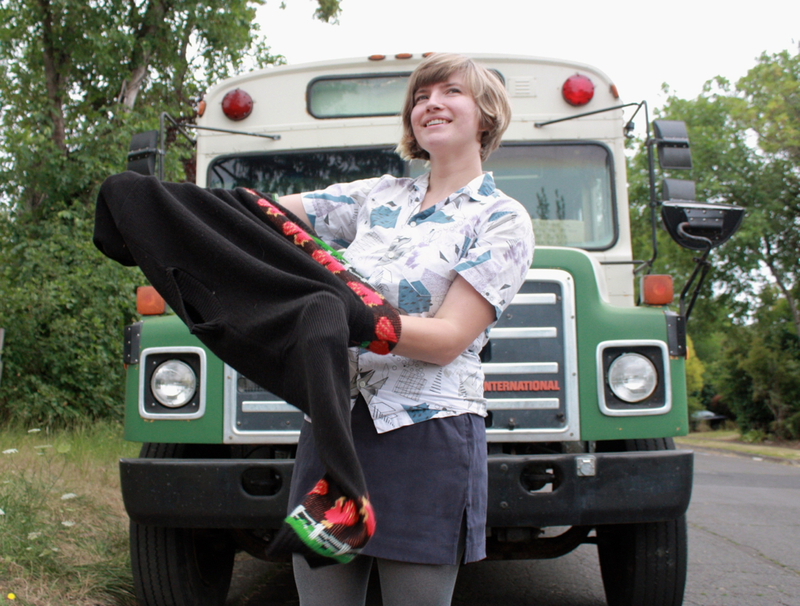 In the case of Fermentation on Wheels, the bus has also given Whitsitt a home as she travels across country. Often, Whitsitt stops at small farms and uses their produce (or, in a recent stop, the milk from a goat dairy) as inspiration for classes on turning it into foods like kimchi or kefir. After class, she hosts “culture exchanges” where people can give and/or receive sourdough starters, kombucha starters, and more. Though the art of fermentation has been around for centuries, it has only recently been making a comeback. Not only are many bacteria present in live cultures good for our guts—the highly touted yogurt culture Lactobacillus acidophilus is an excellent example—but they also pre-digest food, making it easier on our own digestive systems. Fermented vegetables also last longer than fresh, making these foods great for farmers looking to sell value-added product and backyard growers wanting to put their harvest to good use. 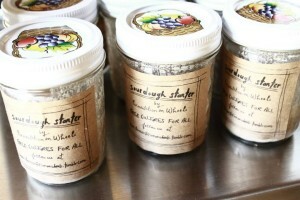 Like heritage seeds, many of Whitsitt’s starters come with quite a story. One favorite is a 10-year-old rye sourdough starter that was given to her by a friend in Brooklyn. According to the story he told her, he’d started it in Portland, Oregon, and traveled with it by train—feeding it every day. “It’s one of the most incredible starters ever—hard to kill and super resilient,” she said. Whitsitt is clearly the most active force behind Fermentation on Wheels, but she wants to share the project as widely as possible. “Fermentation on Wheels is a community,” she said. Her goal is for people to join on and make the project their own. A week ago, the project secured non-profit sponsorship through a fiscal sponsor in New York City. Until now, the bulk of the costs have come out of Whitsitt’s own pocket. With the ability to accept tax-deductible donations, she’s hoping to bring in more volunteers and outside supporters. She’s especially looking for people interested in helping with class and/or joining her on the road. Fermentation on Wheels is currently rolling through Mississippi, making stops at places like Native Son Produce Farm in Tupelo on February 28 and The Mississippi Modern Homestead Center on March 2. As her exact class locations are decided via invitation or suggestions from host-farmers or participants in her classes, Fermentation on Wheels’ schedule is more of a rough guideline. It is truly awesome that someone would take a dark art like fermentation and bring it out to the people. Great it came to her in a dream. I can't help but think about sourdough bread in San Francisco and how immigrants from a far kept their starters on ships as they braved the journey to a new home and land bringing with them the very live essences of their heritage and "cultures" back home. I hope I get to meet you this summer, somewhere near Chicago. There's a CSA in Naperville. Maybe you could stop there. I have dozens of Kombucha SCOBYs I'd love to share! This year, I too am on a mission to educate myself and others on Fermentation. With all the health issues bombarding the body, our future survival depends on our obligation to make a difference. what a great way to raise the consciousness and better the lives (and guts) of kids and adults. and how sweetly serendipitous that while i read about Tara and her fab project, i was enjoying a wild alaskan salmon sandwich on sourdough rye. go sourdough (and all likewise fermented friends)! I heard about your venture shortly before your dearture from Eugene. We have a mutual friend here. I'll check your calendar as October approaches to see when you will be in town. You will have some remarkable experiences to share. Will you be in the Salt Lake City area this summer or fall? We would love to host you for some workshops or events at the Downtown Farmers Market and other venues linked to Wasatch Community Gardens and Slow Food Utah. Fermentation for all. My husband (knows your father) told me about your wonderful journey to bring health and lost arts back to the populace....since reading about Weston A Price's descriptions of the diets of healthy populations of people relatively untouched by the rest of society (in the 30's) - and their uses of fermented products - different in each group, but always the diets contained one...well, it just seemed like the right thing to do. Thank you for being out there helping us, dear! If you ever need a place to park your bus on Martha's Vineyard we have your spot. Fermented foods brought me back to life and I will always be grateful to them. thanks for your inspiring work! Tara, if you would like a spot to stop your bus on the Central Coast of California, we would be delighted to have you here. We are a small sheep and goat dairy also raising pastured chicken and pigs. I have always made our own sauerkraut (and of course cheese and yogurt are fermented products), but would love to expand our experience and share your knowledge with our local food community! Please be in touch if you are interested.